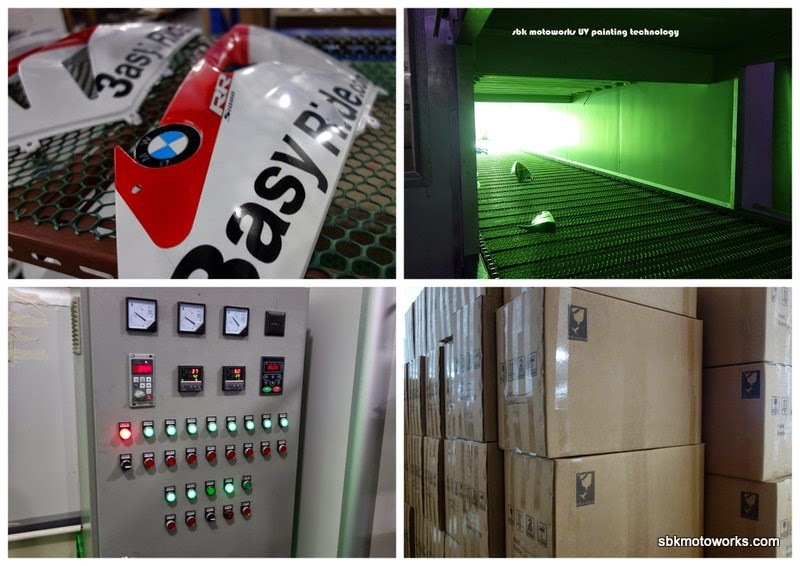 We are the only factory that invested in UV Painting Technology for all our fairing set. This is to ensure the best finishing and long duration for the color. You will see and feels the difference. We do not sell cheap and low quality fairing set. That is why many customers are very happy with our fairing set. We are different in PAINTING QUALITY. We export worldwide. Please buy your fairing set from our authorised dealers only. We ensure you the quality of our fairing and we provide replacement for any painting damage due to our factory fault. Labels: Announcement 2014, Why fairing from SBK Motoworks?